MOSCOW, December 1. /TASS/. Pyongyang is ready for talks with Washington on security issues on the basis of parity and with Russia’s participation, member of Russia’s State Duma (lower house of parliament) Vitaly Pashin told TASS on Friday. "North Korea is currently ready to conduct negotiations with the US with the participation of Russia as a third party," Pashin said commenting on the results of the talks between the Russian parliamentary delegation and the North Korean leadership in Pyongyang. According to the lawmaker, while providing explanations concerning the continuation of missile tests in violation of the UN Security Council resolutions, "the North Korean leadership noted that the country is regularly subjected to external aggression on the part of the US." Earlier reports said that on the morning of November 29, North Korea carried out its first missile launch since September 15. According to the Korean Central News Agency (KCNA), a Hwasong-15 advanced missile reached an altitude of 4,475 km and covered a distance of 950 km within 53 minutes of its flight. "According to North Korean representatives, they were forced to demonstrate the ability to adequately respond to any aggression from the US, the ability to strike at any territory of America. 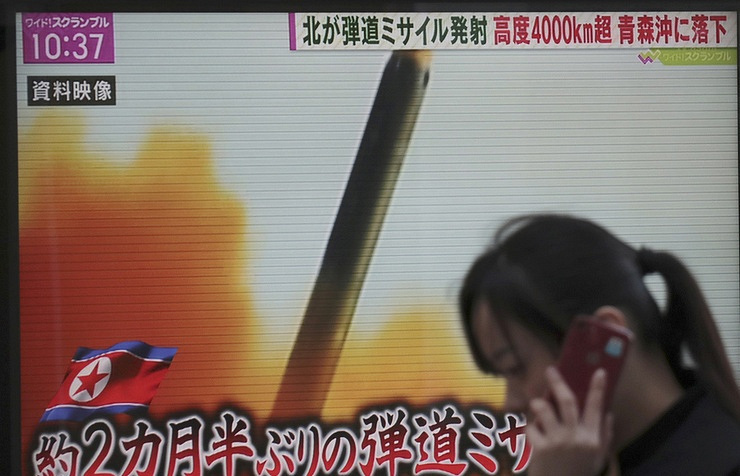 This is the first missile launch since the last one carried out by North Korea on September 15. 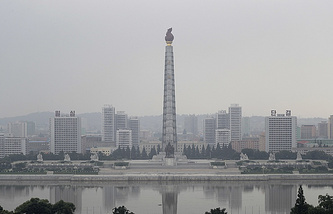 Since then, Pyongyang had refrained from military provocations for 75 days awaiting reciprocal steps from the US, which, instead of meeting [North Korea] halfway, announced large-scale surprise military drills," the parliamentarian noted. Pashin stressed that the Russian parliamentary delegation had reaffirmed Russia’s stance condemning missile tests in violation of the UN Security Council resolutions. "We are against the escalation of the conflict and for a peaceful resolution of the issue through negotiations. That said, I fully support the position of our president and the Foreign Ministry on the issue," the lawmaker said. A delegation of Russian lawmakers led by its coordinator Kazbek Taisayev paid a visit to Pyongyang at the invitation of the North Korean parliament from November 27 to December 1.